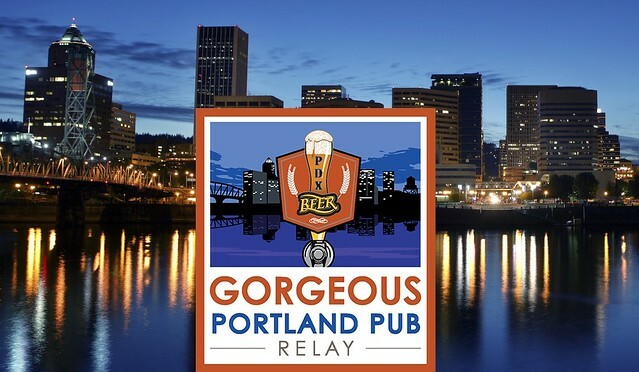 The Gorgeous Portland Pub Relay (GPPR) kicks off the Gorgeous Series each year. And what better way to begin than with BEER! Lots and lots of beer…and a little running. 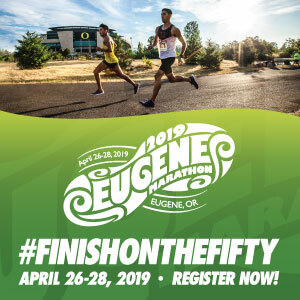 Covering just 26.2 miles and 6 Legs GPPR it is designed to be simple, short, and above all, fun! But there’s a catch – we don’t tell runners the rest of the course. Scavenger Hunt Meets Relay! 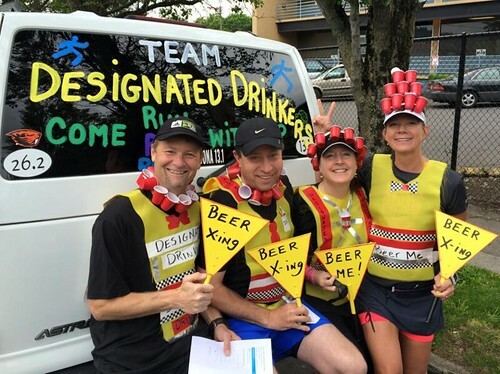 Teams of up to 6 runners (you can run it with less) will run relay style to 6 amazing Portland Pubs, where they can choose a free beer sample at each stop along the way, or save their thirst until the Gorgeous Finish Party where they will get a free full pint o beer (or kombucha), a Gorgeous pint glass, a Gorgeous t-shirt, and a unique Gorgeous medal. 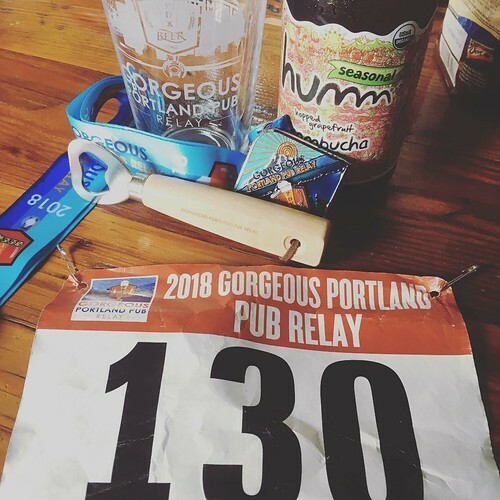 We always have at least one runner decide to make it their personal Beer Marathon by running the whole course solo. 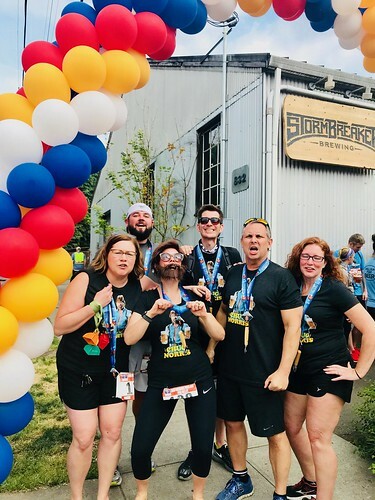 Stormbreaker Brewing hosted last year’s start/finish, but stops along the course have also included landmark institutions such as Ecliptic, Portland Brewing, Base Camp, Gigantic, Breakside (East and West), Migration, Hopworks (HUB), Old Town, Produce Row, Lucky Lab (SE and NW), ​Rogue, Burnside Brewing, and Sasquatch (NW). In order to keep it fresh, we rotate in a few new pub stops each year…and this year is no different! We are excited about some of the big name, and brand new, breweries we will be visiting in 2019. So, what are you waiting for? Round up a friend or two, or five, and register now! Or be really Gorgeous and run the whole relay yourself. 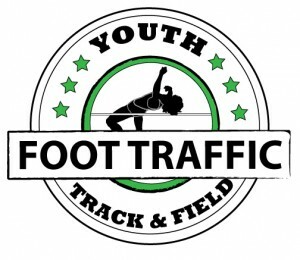 Go to our website to sign up. Still not sure? 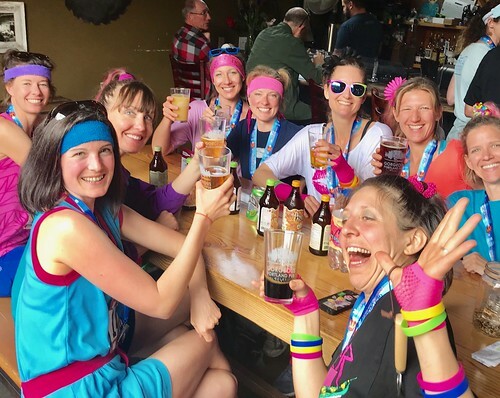 We also do FREE monthly pub runs (3 and 5 mile options) to showcase pub partners, get a little training in, and raffle off Gorgeous Prizes afterward. Here is a link to our February Gorgeous Pub Run (Weds. 2/27, 6:30pm) that starts at McMenamins Kennedy School.